I will be posting content on zhuangbros.wordpress.com more often. 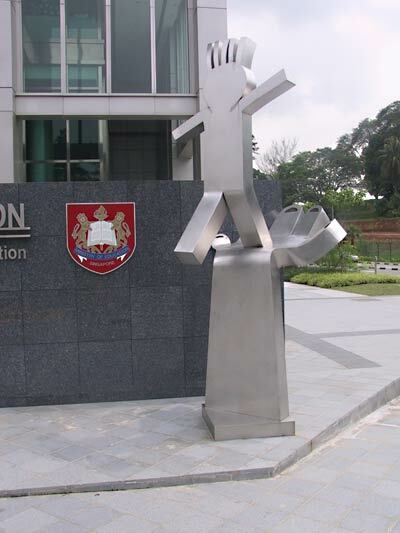 Situated just outside the Headquarters of the Ministry of Education (MOE) at Buona Vista is a prominent metal sculpture depicting a boy taking a leap of faith into an uncharted realm. 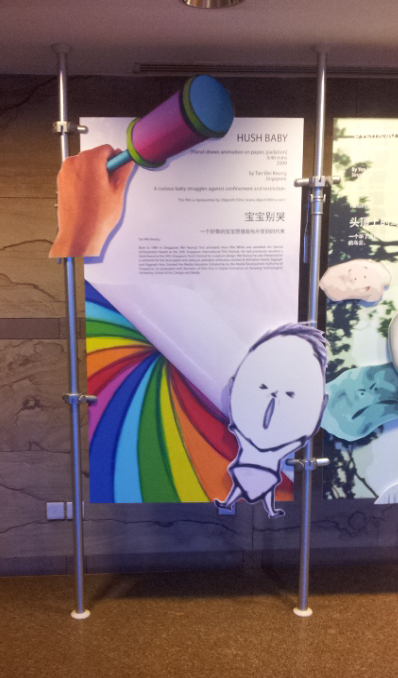 The sculpture named “My Way” was designed by a secondary school student, majoring in Science back in the year 2000. 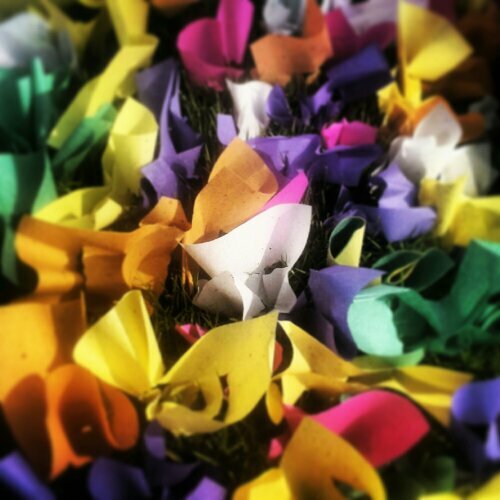 It was through an Art enrichment programme organised by the school that gave him his first exposure to the Arts. This boy went on to pursue his passion for the Arts and has produced a number of award winning animated short films. This talented artist is Tan Wei Keong. Tan Wei Keong is both our friend and mentor. It was through an MDA scholarship gathering that we first got acquainted with him. We studied in the same school and would meet up occasionally to exchange ideas and share our thoughts about animation. He was especially helpful in sharing with us his experiences in animation and also introduce us to the film festival circuit. “White” marked Tan Wei keong’s debut independent short film. The film is a man exchanging his head for one he deemed to be better. This 2-minute short animated film was produced by animating the man’s facial expressions on paper and then adhering them onto the puppet’s head while animating the puppet. What really impresses me most is “White” simple concept that resonate a bigger message. To us , White is a film that deals with the issue of identity crisis. It examines how one can become disillusioned and loses one’s identity when one become overly preoccupied to meet the standards set by others on oneself. This is depicted in the ending of “White” where the man loses his sense of sight after having a new head. “Hushbaby” was the next film produced by Tan Wei Keong. We were involved as colourists for the post production of the film. “Hushbaby” has a simple set up: A baby lying on a plain piece of paper living under the protective care of a pair of hands. The infant is force to live in a confined space with his movements restricted. The dilemma of what constitutes care is portrayed in the film as the pair of hands as they constantly redraw the boundaries of what it means to be “safe”, hence blurring the line between right and wrong. “Hushbaby” ends with the baby in stoic silence, seemingly accepting in quiet resignation the small space it is allocated. In our opinion, both “white” and “hushbaby” explore the dilemmas one has to confront with as one grows up. The desire to pursue what our heart desires as opposed to conforming to ideals that society has predetermined. We both feel that one has to weigh his options and find a balance, and make the most out it. The most challenging part is the very first step. Take the plunge and one will find “my way”. This animation was done for a National Education Book launch at Admiralty Primary School. “Lego” is this year’s theme and so we construct a imaginary world build of Lego. This is a non commission project and we did it during our free time. The main goal was to use this short book introduction animation to try out 2D characters on 3D Background images. 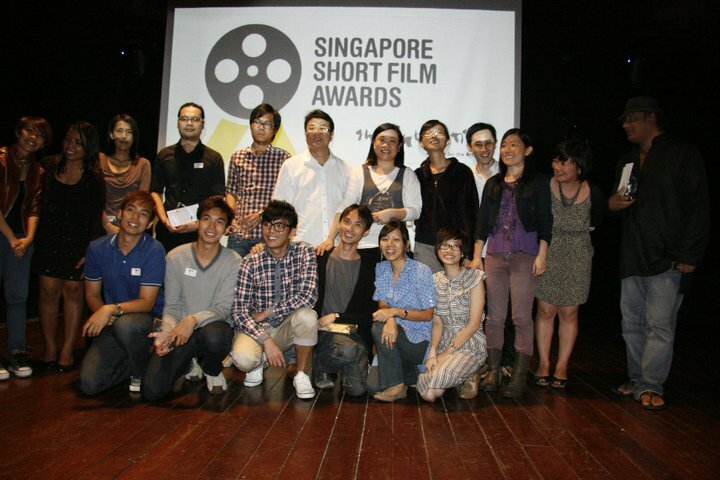 “Contained” won Best Animation at the 2nd Singapore Short Film Award! The biggest surprise came when “Contained” won Special Mention for Best Sound! It was a great night at Substation! Thank you pre-selection community and the Juries for selecting “Contained”! “Contained” has travel to many places and we are really please with it. I think it is good to end the tour with SSFA!